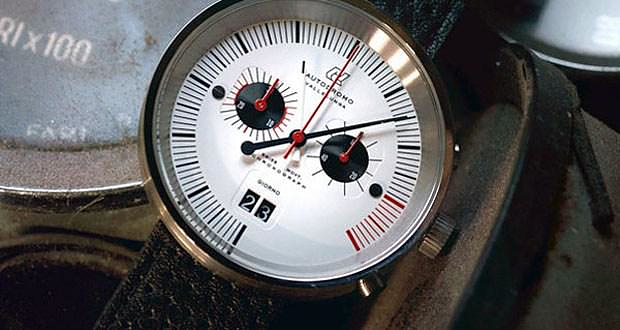 HomeBlogFashion & StyleAutodromo Vallelunga Chronograph, racing inspired timepiece. 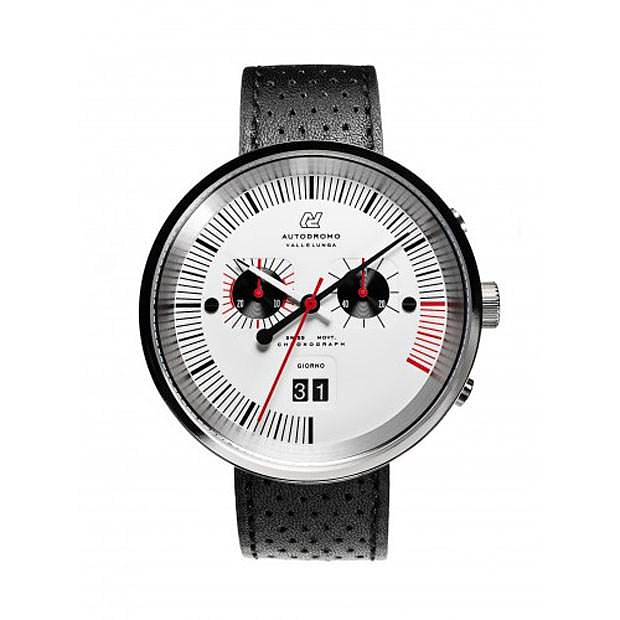 Italian firm Officine Autodromo recently unveiled its latest creation, the Autodromo Vallelunga Chronograph. 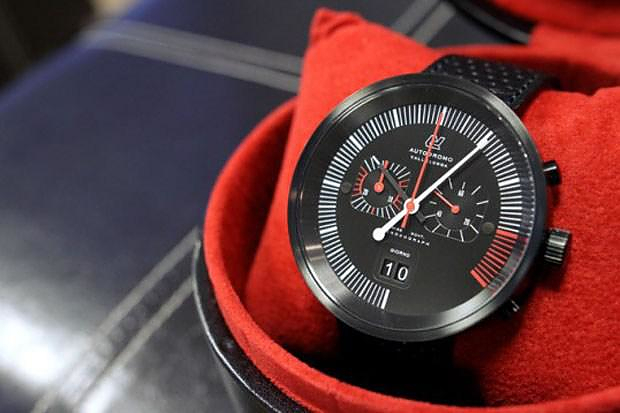 A minimalist racing-inspired timepiece with a unique retro touch. 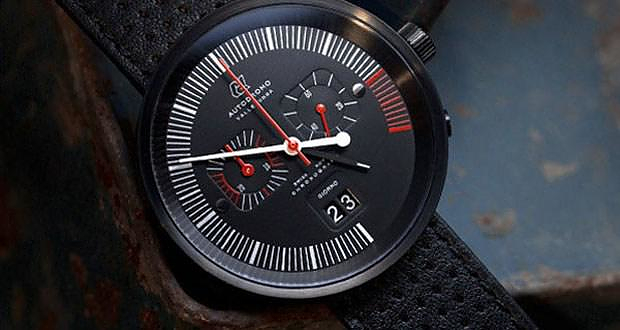 The retro-modern chronograph is inspired by mid-century auto racing tachometers used in many Italian Prototype and Grand Prix racing cars of late 1960s and early 1970s. 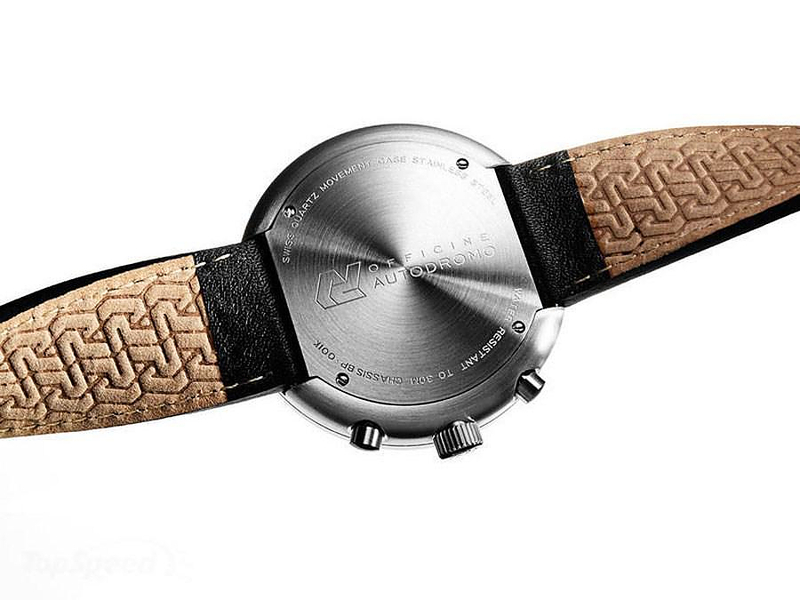 The model is named after the legendary Vallelunga racing circuit located 20 miles outside of Rome. 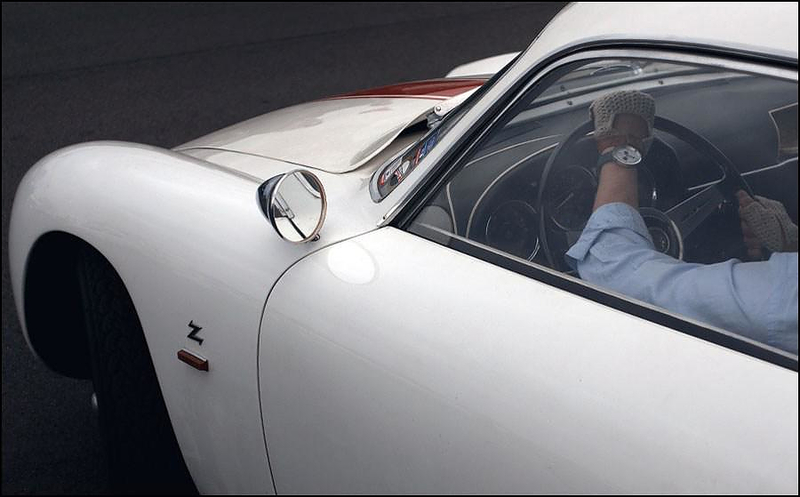 Vallelunga is a challenging road circuit named after Italian racing legend Piero Taruffi (the official name is Autodromo Vallelunga Piero Taruffi). 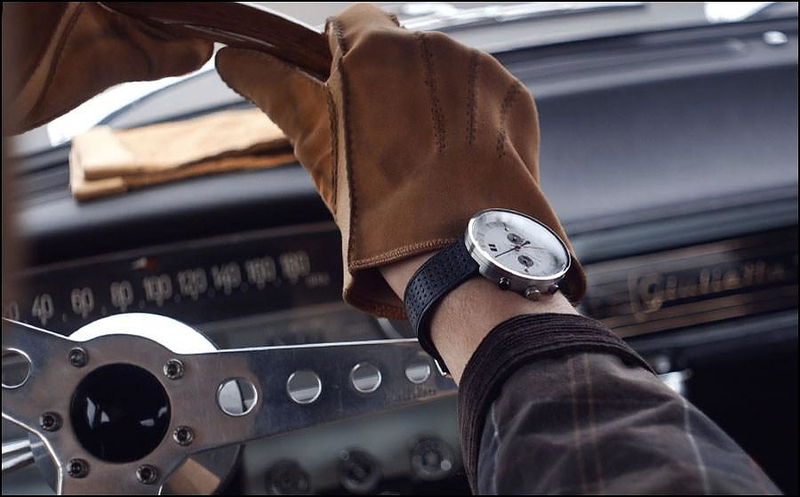 It was the site of many thrilling races in the 1960s and 1970s, featuring all of the legendary Italian marques. 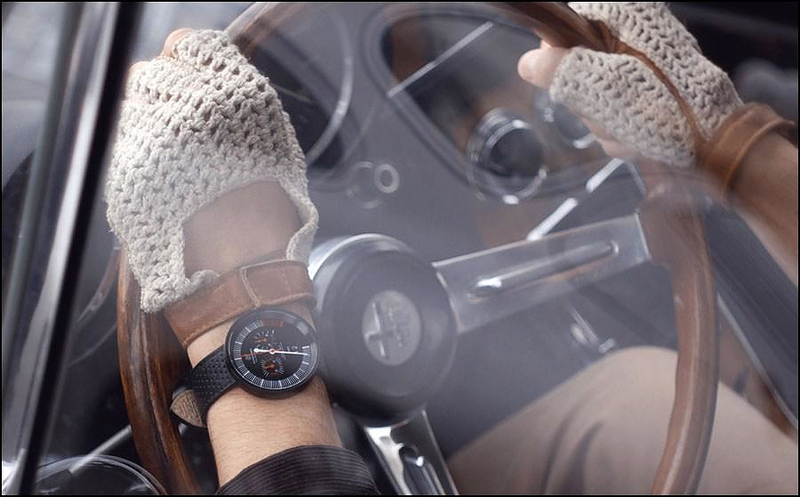 Autodromo’s newest Chronograph embodies historical inspiration combined with a distinctive contemporary charm, as its sleek minimalist design meets automotive heritage. 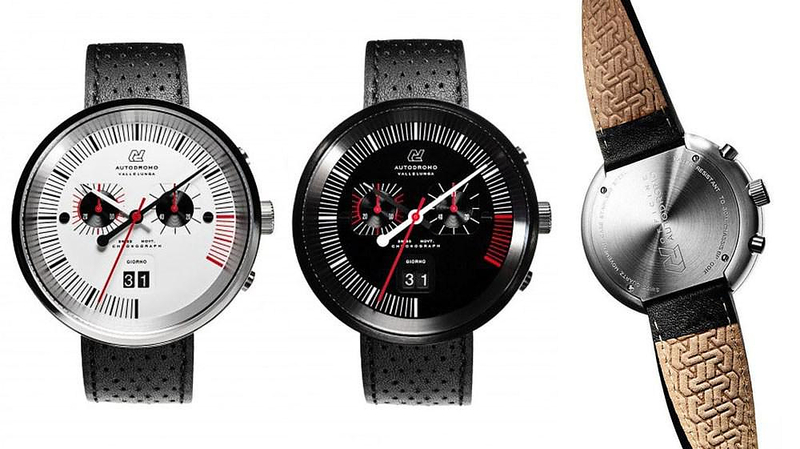 The piece is full of well thought details such as the perforated leather strap, which resembles retro racing driving wheels, and the sleek hands that bear a clear resemblance to retro tachometer needles. 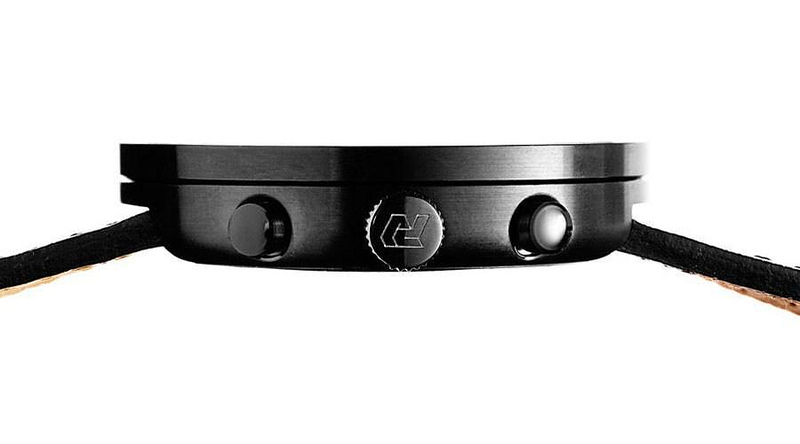 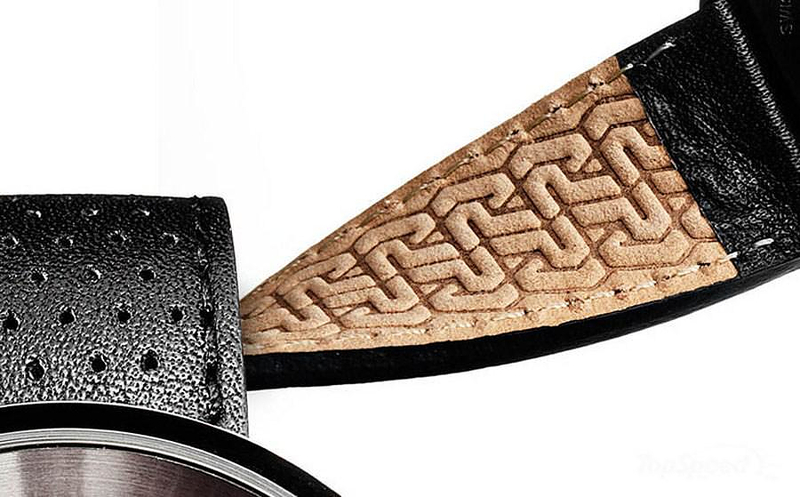 Our favorite detail however is the “tire marks pattern” found in the inner part of the strap, a subtle feature only for the wearer to know. 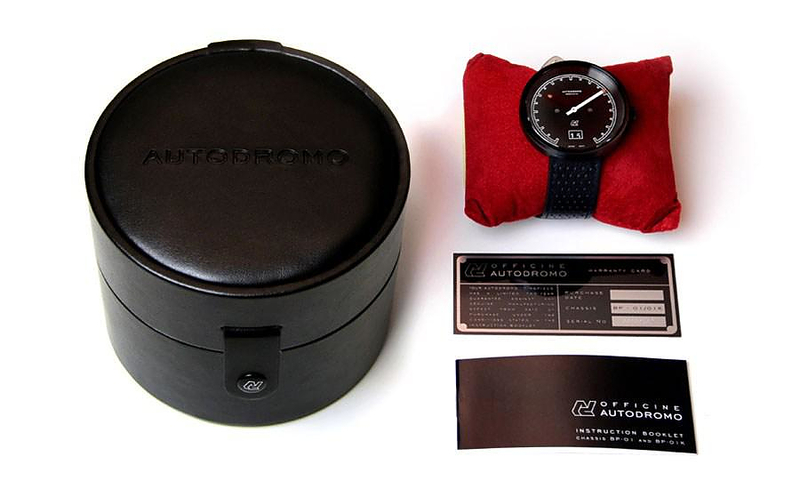 It uses Swiss Made “Ronda 5020.B Quartz Chronograph Movement” and is water resistant to 30 meters (3 ATM). 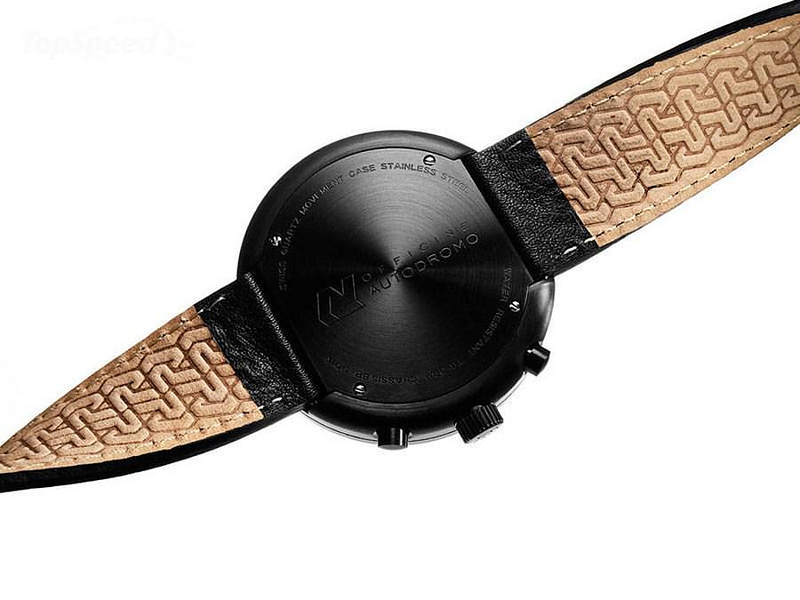 It features a stopwatch, 30 minute counter and big date calendar window. 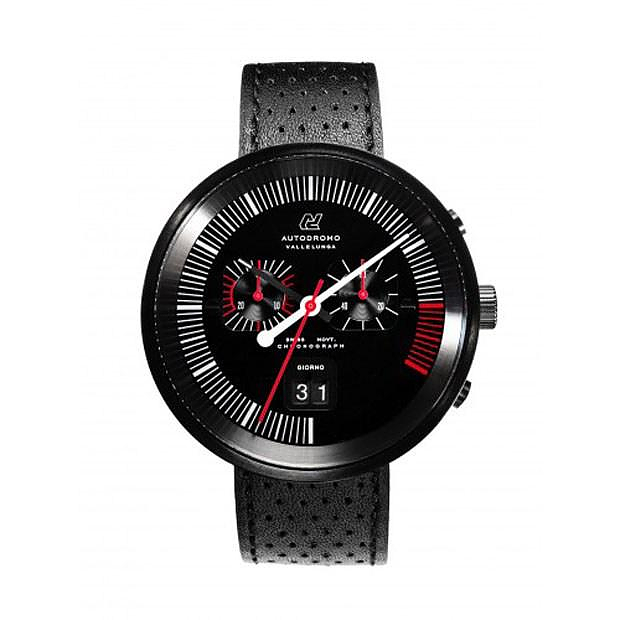 The Autodromo Vallelunga Chronograph is a truly inspiring timepiece that will certainly appeal to all the fans of motorsports and classic cars.